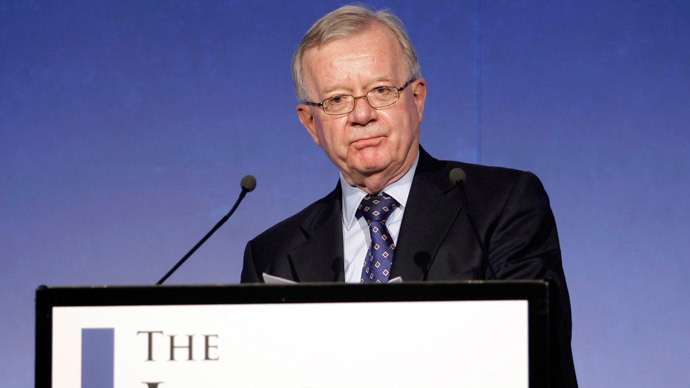 The controversial Iraq War inquiry led by Sir John Chilcot may not report its findings until next year, despite the investigation starting in 2009 and completing its evidence-gathering phase in 2011. It was reported on the BBC’s Newsnight program that the slow response of those criticized in the report, including former Prime Minister Tony Blair and his Foreign Secretary Jack Straw - who have a right to see the report ahead of publication - is playing a large part in the delay. Maxwellisation, named after late newspaper proprietor Robert Maxwell, is the process by which those criticized in the report can view what is said about them prior to publication and, if they so wish, contest the findings. “Some of the dozens criticized have had to sift through Chilcot inquiry drafts that run to hundreds of pages. Others have engaged in a lively correspondence with the inquiry team, asking to draw on all sorts of additional correspondence in their defense,” Urban added. If confirmed, the delay would be a serious blow to the families of 179 UK servicemen killed during the six-year US-led war that began in 2003. The ever-extending wait is also likely to add to public skepticism, which has grown with each delay. In January, the report’s delays were brought up for the first time during a Commons debate, with MPs voicing their frustration over the repeated deferral of the publication date. “It’s an insult to Parliament, but more important it’s a gross offence to those people who’ve lost loved ones out in Iraq and to the people of Iraq itself,” said Llwyd. Davis said no one knows why the publication has been delayed to such an extent, as very little information about it is in the public domain.